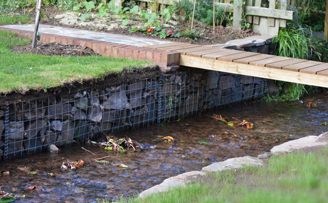 This is an example of a river bank repair using gabion baskets. 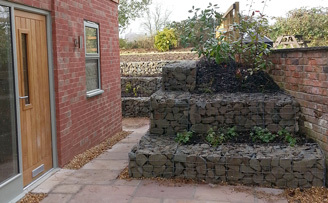 The installer has also protected from undercutting and softened the front edge with extra stones. 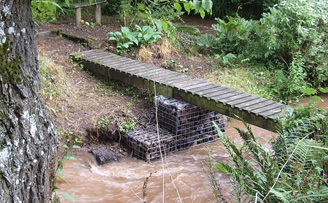 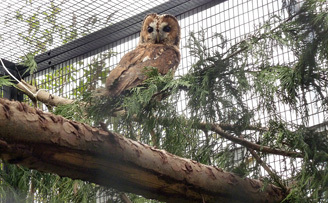 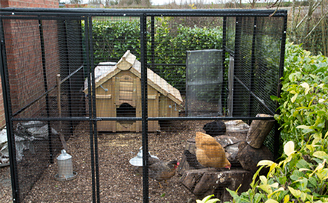 In this scenario the baskets were on the bed rock so a gabion matress was not required. 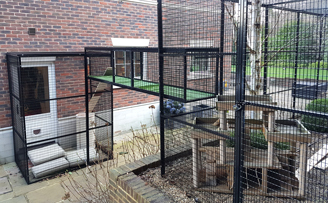 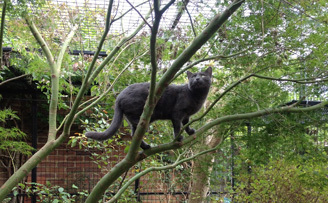 Cat run with overhead tunnel allowing access to larger external cat run. 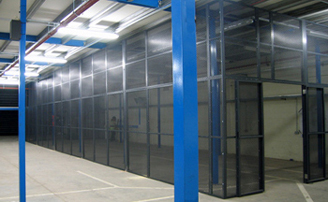 MOD project a variety of security cages with many cut outs. 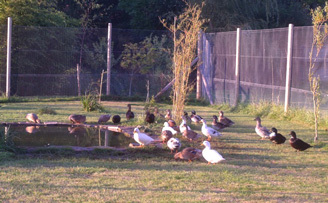 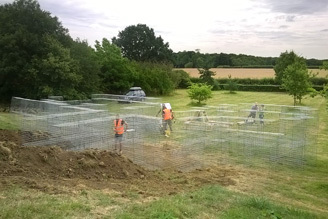 "Fox Proof Boundary Fencing Fine Mesh Metals 30m light welded mesh rolls of netting provided the ideal solution for fox proof boundary fencing for a small wildfowl collection"